PRIVATE PROPERTY – Why Fear Government Land Grabs? While I can understand some of the arguments from both sides of the issue in Nevada there are other incidents of the federal government taking land actually owned by private citizens that are incredibly disconcerting and cause for concern. I fully believe that the actions in Nevada and the potential or probable land grab on the Texas-Oklahoma border involving over 90,000 acres and 100 miles not to mention lands in Colorado, Kansas, Nebraska, and other locations amounting to over 200,000 acres in the name of preserving the Southwest Prairie Chicken. REALLY? No, I believe that the moves are more ‘tests’ for future implementation and laying precedent for them to move in more Agenda 21 and Sustainable Development activities. Washington State Supreme Court Justice Richard B. Sanders in December of 1997 wrote concerning the ‘5th Amendment’: “Property in a thing consists not merely in its ownership and possession, but in the unrestricted right of use, enjoyment, and disposal. Anything which destroys any of the elements of property, to that extend destroys the property itself. The substantial value of property lies in its use, if the right of use be denied, the value of the property is annihilated and ownership is rendered a barren right.” Think about what said and what it means when the feds come in and seize your property. 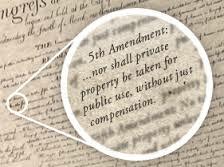 Unfortunately when you say 5th Amendment many only think of refusing to testify in a manner that would incriminate oneself but it is so much more than that it is also about PRIVATE PROPERTY RIGHTS as protected by the Constitution and the Bill of Rights. The Supreme Court has determined that this not only applies to Federal Courts but State Courts as well under the Due Process Clause of the 14th Amendment. 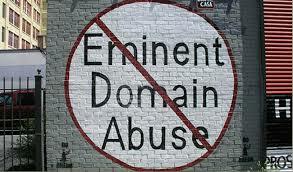 The right of government to take private property under eminent domain is based on their proving that doing so will serve ‘the public good’. That is a troubling portion because what is ‘public good’? There is also to be ‘just compensation’. In the case involving one land owner whose land is within the 90,000 acre land grab coming in Texas the feds have already taken 140 acres without any compensation and using the court ruling as a precedent to take 600 more acres from him and the BLM has declared that all the property is federal property. 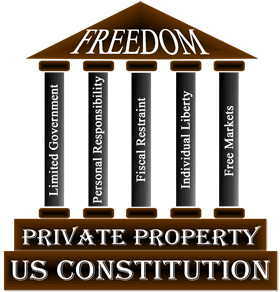 Never mind that it is PRIVATELY OWNED, MAINTAINED, and in the possession of the land owners. 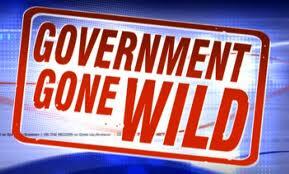 If the federal government can do this what are the limitations of what they can or may do? NONE! My fellow patriots and American citizens we have a government that is ‘Out of Control’ and has gone ‘rogue!’ Fasten your seat belts because this is just the tip of the iceberg and if this does not concern you it should! We have elections coming up and we need to do everything we can to send people to DC that will honor the constitution, the rule of law, and put the brakes on this out of control government that exists today! God bless you and God bless America! This entry was posted in Musings, Patriotic, Political. ← IF OBAMA IS NOT A (insert descriptor)…..THEN….. WHEN BEING INVADED IS IT A GOOD MOVE TO SURRENDER?